Nike Training Club makes it easier to get fit with your iPhone, but taking your phone with you every time you workout can be a pain. 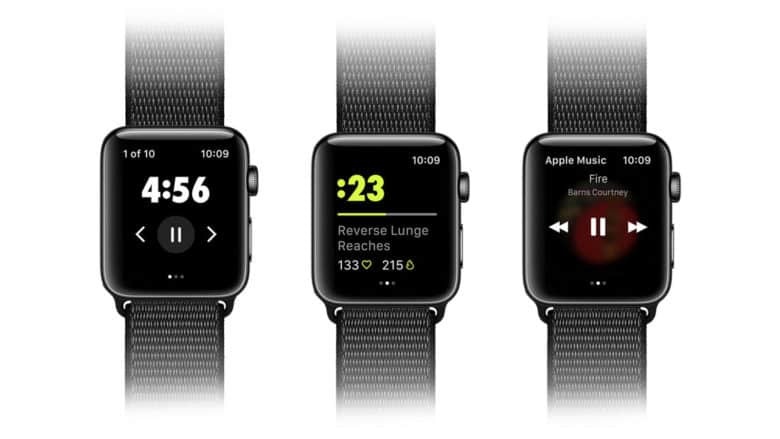 That’s why athletes have been calling for Nike to bring its workouts to Apple Watch. Now Nike Training Club for watchOS has arrived. But there’s a catch! Just like the iPhone app, Nike Training Club for Apple Watch offers more than 180 workouts featuring world-class Nike Master Trainers and elite Nike athletes. All are available for free, and while you follow them, the app monitors your heart rate, calories burned, and other exercise statistics from your wrist. It also encourages you to reach your exercise goals with weekly notifications. To get started with Nike Training Club, download the iPhone app and it will be installed automatically on your Apple WatchNij.